After 4 months of work, 5 teams of the Wix Challenge were selected out of 240 and could attend the final pitch in front of a jury of experts in business and entrepreneurship. Hudson Mind CEO, Lucie André Calschi, was one of its members. 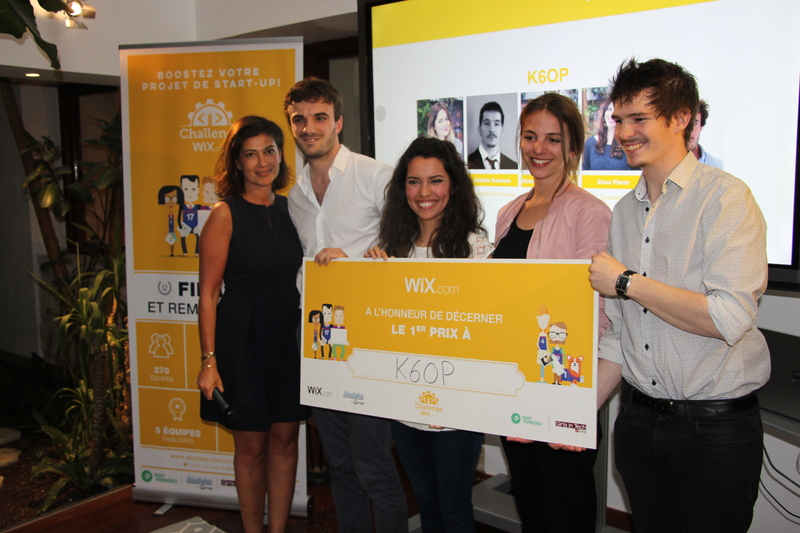 The final round of Wix Challenge happened on July, 4th 2016 in Paris Pionnières, a famous Parisian startup incubator. Participants were required to create a new business and design a Wix website in order to introduce their company, project and business model. After 4 months of work, 5 teams were selected out of 240 and could attend the final pitch in front of a jury of experts in business and entrepreneurship. Hudson Mind CEO, Lucie André Calschi, was one of its members. To have access to the results: http://www.studyka.com/en/challenges/challenge-wix.